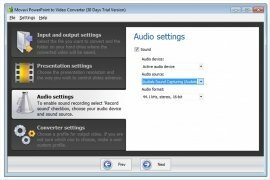 Movavi PowerPoint to Video Converter is a program capable of transforming the presentations created with PowerPoint into a video file, giving you the possibility to view them via any playback software or DVD player, for instance. 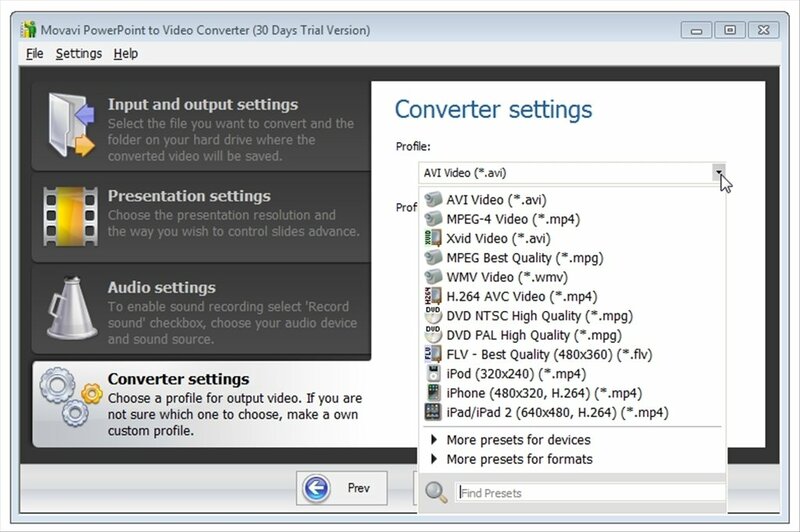 By converting PPT presentations into videos you will expand the options available to check their contents. 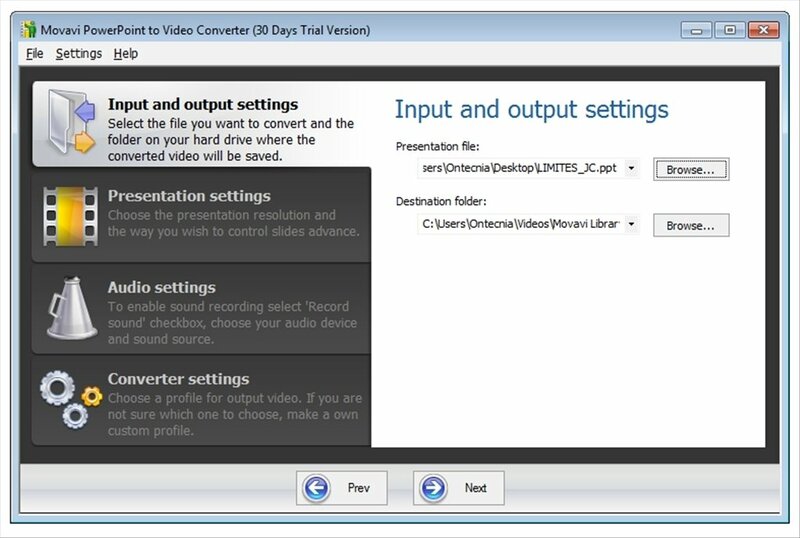 Transform PowerPoint presentations into video files in MPEG-1 and MPEG-2 format. 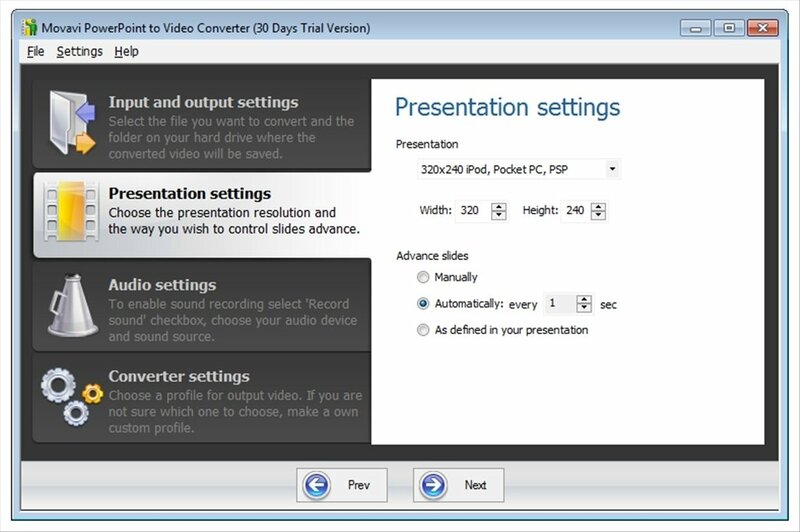 Prepare presentations to upload them to a website. Add audio tracks, whether to include voice or music, to the resulting videos. All sorts of settings to be able to achieve the best results. A PowerPoint presentation requires that the person has access to the original Microsoft program or a viewer compatible with the PPT format. 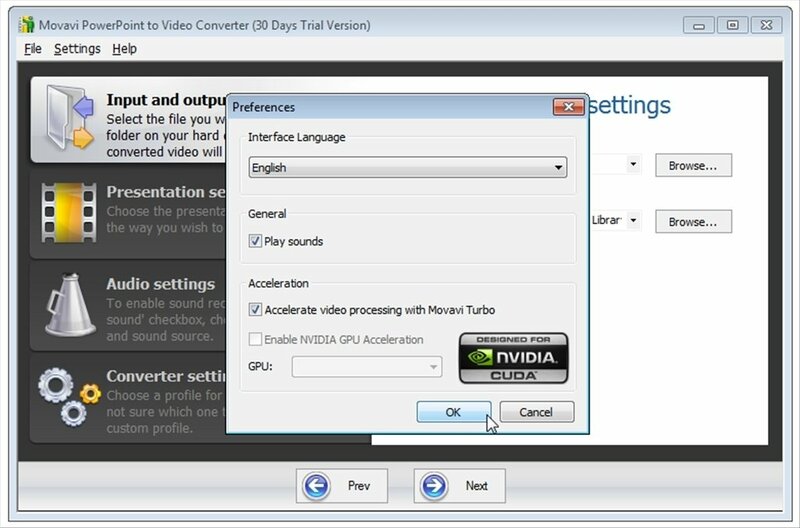 Movavi PowerPoint to Video Converter simplifies everything, offering its conversion capacity so that the presentations can be used on any computer or hardware no matter what platform is used: Windows, Mac or Linux. Or even a mobile phone. 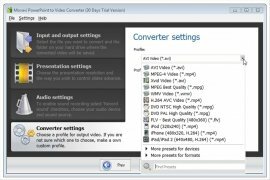 Download Movavi PowerPoint to Video Converter and you'll have the perfect tool to convert PowerPoint presentations into video files. You need to have Microsoft PowerPoint 2000 or above for the software to work.